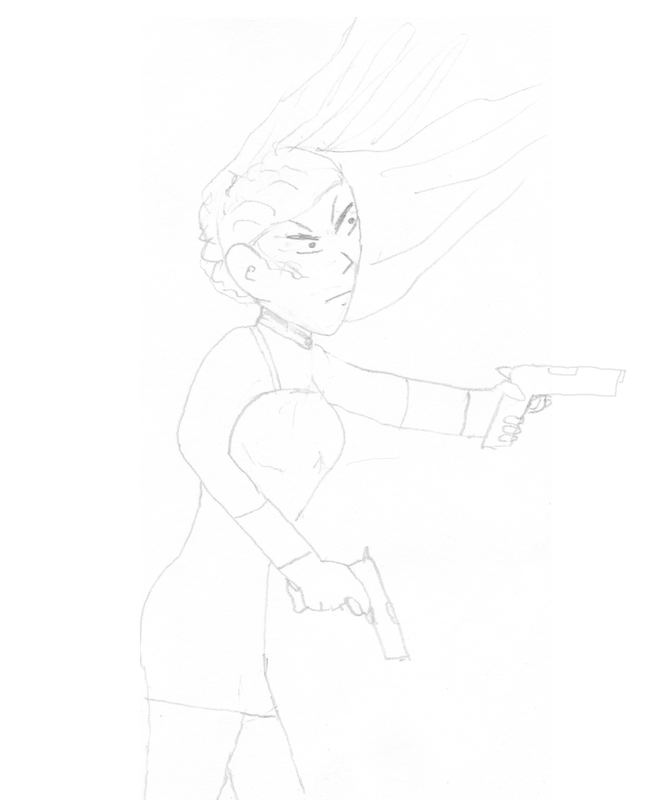 Here’s an early sketch of Marissa in an action pose. This envisioned her busting out some killing after infiltrating a cocktail party. Her chin, eyes, and hair all changed after this drawing, but I still feel there is some resemblance to the current Marissa.